Long before it was popular to do so, Debbie Reynolds collected Hollywood memorabilia. When costume departments were cleaning out their closets or repurposing garments for a new movie, Reynolds would swoop in and purchase items for her personal collection. Along the way, she has amassed more than 3,500 costumes and thousands of props and costume sketches. Sadly, her museum had to file for bankruptcy in 2009, and as a result, her amazing collection is being auctioned off next week. Here are a few of the impressive items she owns. 2. Marilyn Monroe’s subway dress from The Seven Year Itch. If you’re thinking about bidding, though, you might want to know it’s no longer the ivory tone it was in the movie. ” “It’s turned an ecru color because it’s very, very old as you know by now,” Reynolds told Oprah in February. 3. Judy Garland’s blue dress from The Wizard of Oz. OK, it may not be the blue dress, but it’s one she used during the first two weeks of filming. The “Arabian” ruby slippers are also up for sale – they’re a pair of curled-toed slippers used in tests, but ultimately deemed too exotic-looking for Dorothy from Kansas. 4. Audrey Hepburn’s ascot dress from My Fair Lady. 5. Charlie Chaplin’s bowler hat. 6. Vivien Leigh’s green velvet “drapery” dress hat from Gone with the Wind. 7. 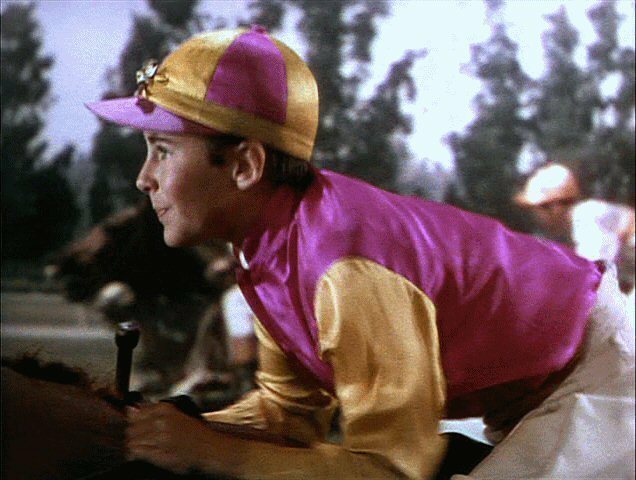 Elizabeth Taylor’s jockey outfit from National Velvet. 8. Tom Hanks’ white tuxedo from Big. 9. Claudette Colbert’s gold lamé Cleopatra dress. 10. Julie Andrews’ brown jumper from The Sound of Music. 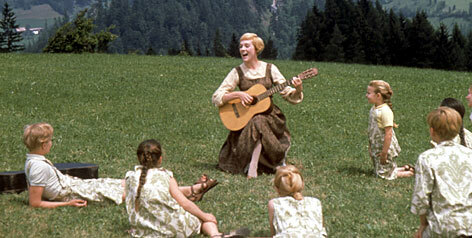 Reynolds is also throwing in the guitar used in the scene, which she had Julie Andrews sign relatively recently. What movie costume would you buy if you had the expendable cash to do so? For me, it doesn’t get any more iconic than the black Givenchy dress Audrey Hepburn wears in Breakfast at Tiffany’s, but since it sold for $1.2 million at a Christie’s auction in 2006… well, it’s slightly out of my reach. ← Spell Along at Home!